We unite people with disabilities and their family members to advocate in a grassroots effort, create awareness in the community, and advise elected officials on the impact of legislation that restricts choices for adults with disabilities. A Team Missouri will empower our members to become self-advocates, providing opportunities to engage with legislators, participate in awareness campaigns, and gain a seat at the table with other groups. A Team Missouri was formed with one mission: to give voice to those not being heard. 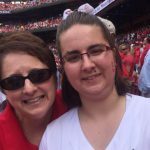 A Team Missouri provides a platform to unite adults with disabilities and their family members so they can be proactive in challenging opinions, misconceptions and legislation that impacts their lives, or threatens their rights. We firmly believe that no one has the right to tell another person what is best for them. Nor do they have the right to tell a parent, who has spent a lifetime caring for and supporting their son or daughter, what is best for their child. Law-makers, along with disability rights groups, increasingly make these decisions without talking to the people who will be directly impacted. 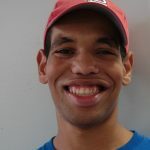 A Team Missouri will empower its members to become self-advocates and provide them with opportunities to engage with legislators, participate in awareness campaigns, and gain a seat at the table with other groups. A Team Missouri is a 501(c)4 non-profit organization headquartered in St. Louis, Missouri; soon to form dozens of chapters throughout the state. Our members include adults with disabilities, their parents, family members, caregivers and others who strongly believe in our mission. Our goal is to positively influence the outcomes of matters that impact our lives by raising awareness and providing accurate information about relevant issues in our communities throughout the state and across the nation. A Team Missouri is proud to support “Dignity Has A Voice.” We are the people who are impacted by the countless decisions made on our behalf; decisions made to benefit the interests of legislators, lobbyists and activists, without ever soliciting our input. The time has come for our voices to be heard. Loudly, and clearly. Above all others. 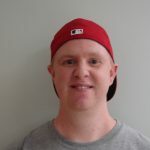 Our greatest concern at the present time is the potential closures of sheltered workshops. These closures would mean that hundreds of thousands of adults with disabilities would no longer have jobs. All people have the right to choose for themselves where they want to work. It is our firm position that eliminating sheltered workshops as an option for adults with disabilities is an injustice, as well as a violation of rights. We ask you to listen to our stories and begin to understand why sheltered employment is so vitally important to us. We are A Team Missouri.